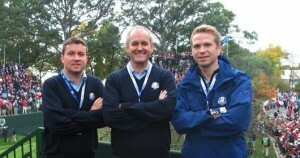 How good was that European Ryder Cup win! Physiotherapy played a key part in the win. As well as mental stamina, golf requires physical fitness. Players are now stronger, fitter, pay more attention to things like nutrition, sleep, core stability and exercise to improve their swing. Injury prevention is a vital to keep injury free during a very long season. Physiotherapists will assess swing mechanics and look at the associated biomechanics with video. All the above affects performance and a little niggle can have a huge impact on distance, accuracy and endurance – Yes, the physical aspect of golf is underestimated. The Medinah Miracle!